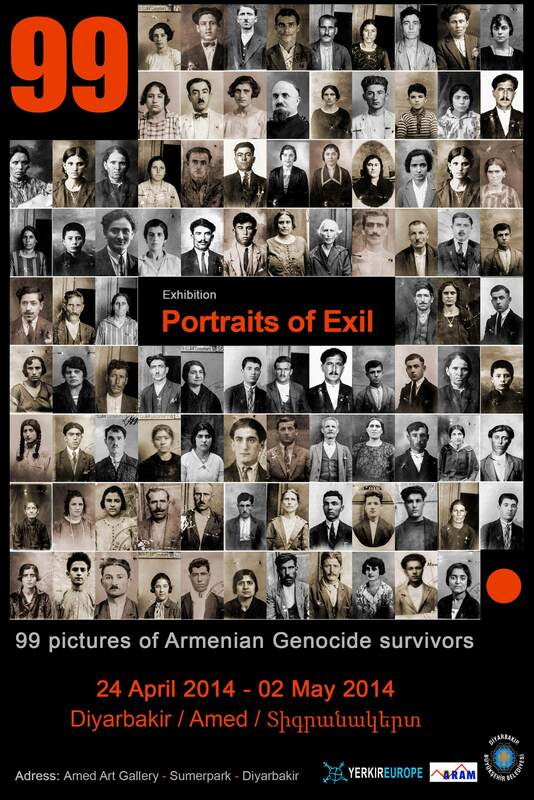 Photos of Survivors of the Genocide of Armenians. 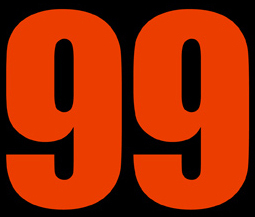 "99 Portraits of Exile: 99 photos of Survivors of the Genocide of Armenians” opened on 24th April 2014 in Diyarbakir. It was a historical breakthrough in that part of Western Armenia, now in Turkey, where several hundred thousands of Armenians used to live at the turn of the 20th century. The exhibition was intended to symbolically “repatriate” 99 Armenian survivors on the 99th Day of Remembrance of the 1915 Genocide. It was made possible thanks to the partnership that has developed since 2008 between French-Armenian NGO Yerkir Europe and the Diyarbakir municipality towards reviving the regional heritage of Armenian culture and identity. 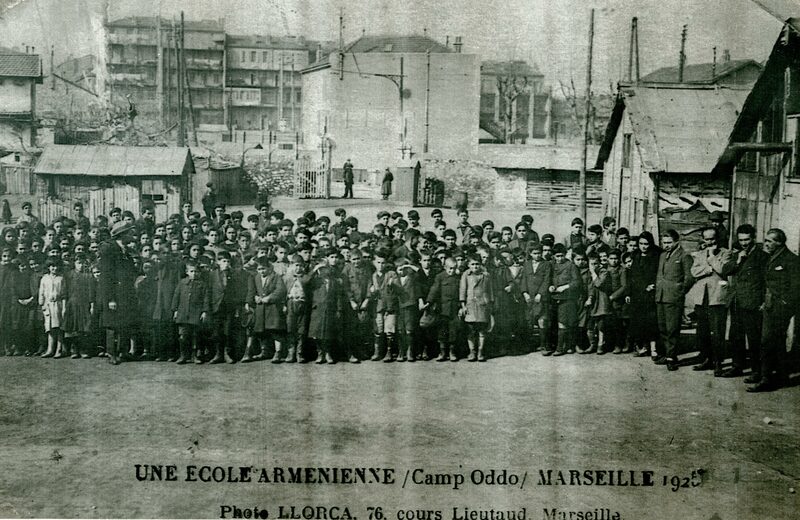 The Association for Research and Archiving of Armenian Memory (ARAM), based in Marseille, was commissioned to set up that photographic exhibition on the theme of genocide and exile. The exhibition is based on a selection of 99 identity photos of Armenian refugee survivors of the 1915 Genocide taken upon their arrival in Marseille between 1922 and 1926. 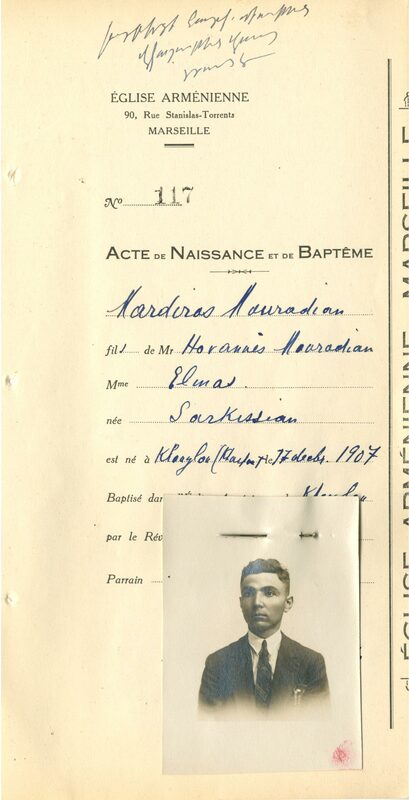 At the time, these identity photos were clipped to baptism certificates established by the Armenian Church of Marseille, written in French, and used as provisional birth identification by the French administration. 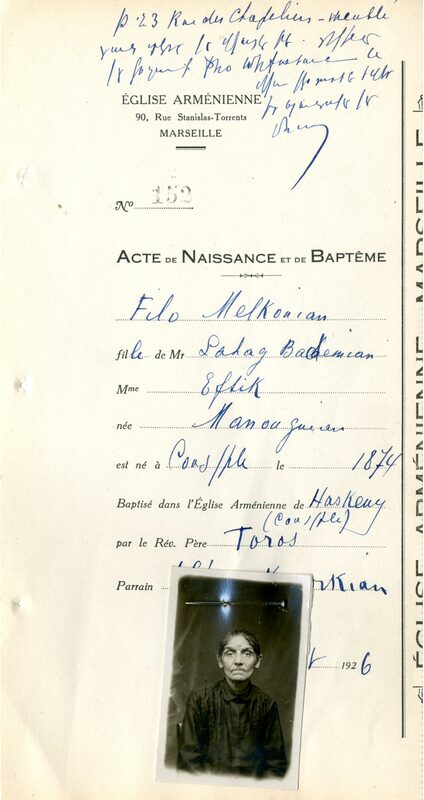 The photos come from the registrars of the Armenian Church of Marseille held in the collections of ARAM. There are 12 such registrars containing a total of 1,000 cards. Each card bears the following information: name, first name, father’s name, mother’s maiden name, place (town of village) and date of birth, name of priest who performed the baptism, name of godparent, and date of act. Some 200 cards display clipped-on identity photos bearing on their reverse the name and first name, as well as the date and place of birth of the person in a town or village of Anatolia or other parts of Ottoman Turkey. These identity shots are staring at us, telling the unspeakable, unique story of each refugee. They are not art portraits, but photographs freezing in time and space a moment in the fate of exiles, and which let us to recover a fragment of lost identity. 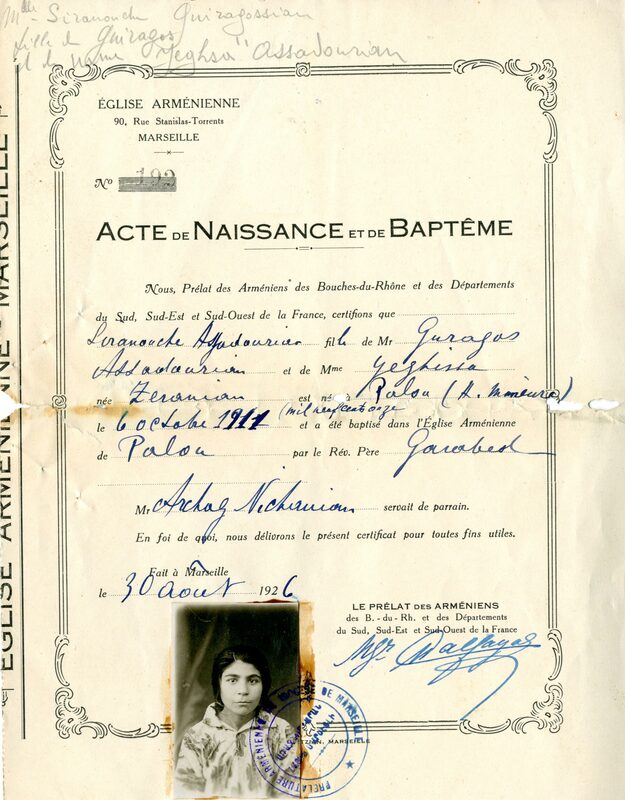 Each photograph is coupled with the birth and baptism certificate delivered by the Armenian Church of Marseille. It was sufficient proof in the eyes of the French administration to attest the identity of Armenian refugees, far from their birthplace. 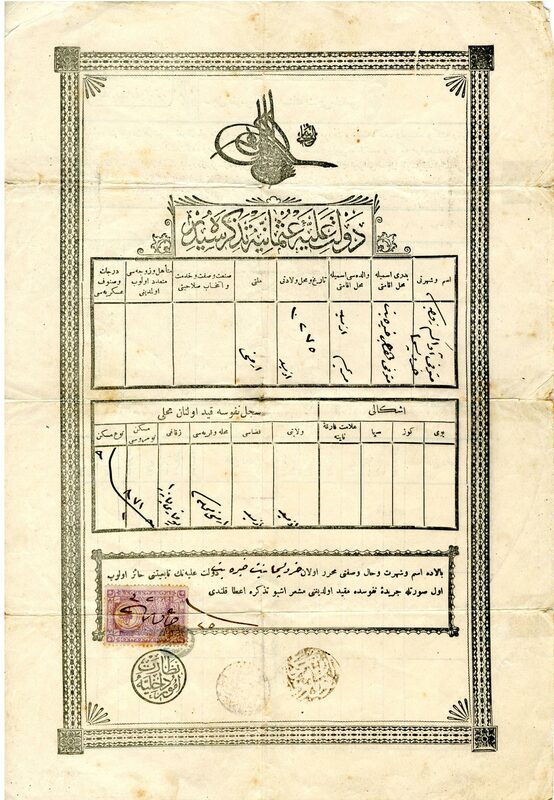 This baptism certificate “certified by an Armenian authority” provided the refugee with an official identity. 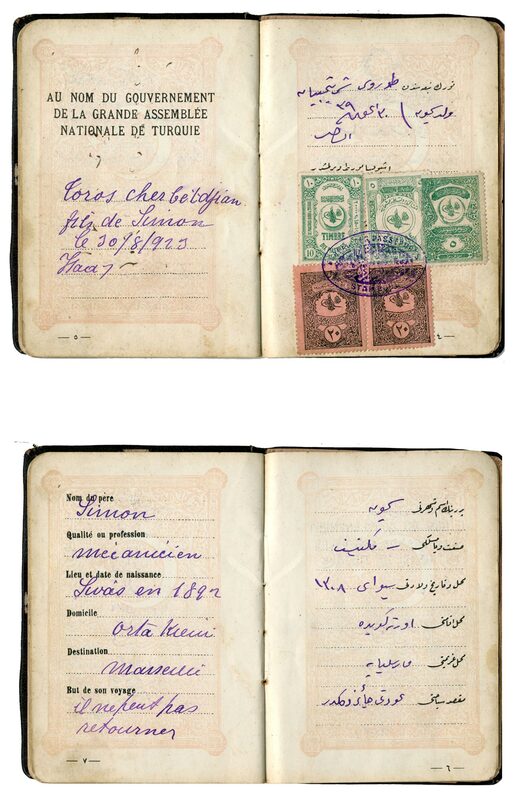 For those without a Nansen passport or a passport from the just born Turkish Republic, and sometimes only holding papers from the former Ottoman authority written in Osmanli (Ottoman Turkish), these certificates enabled French authorities to establish official identity matriculation serving as residence permit under the stateless Armenian status, as a Turkish-born foreigner. 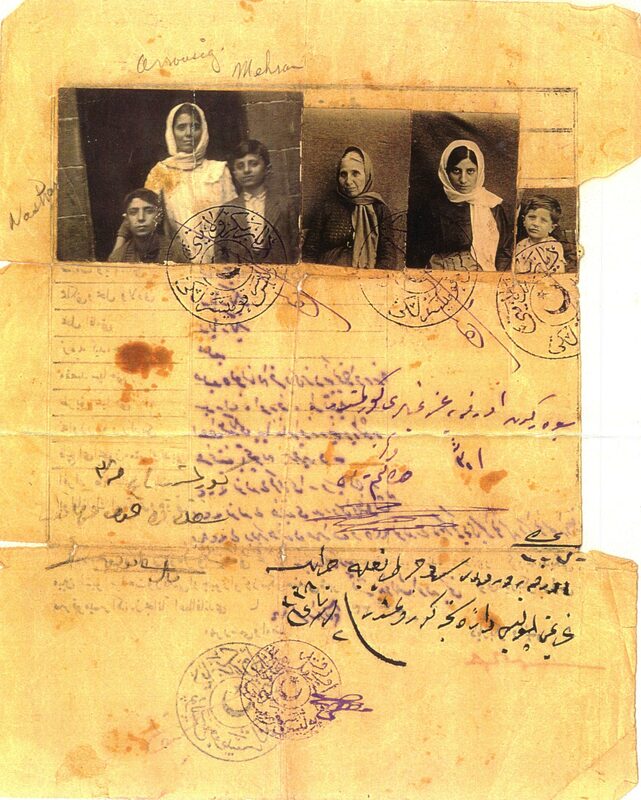 In any time or place, obtaining identity papers marks a crucial step for the displaced or deported person, a genocide or war refugee, along his journey of exile. With them, he can look for work and earn a living, start giving some sense to his life and rebuilding himself. Here are the pictures of 99 faces of miracle survivors who, 99 years ago, went through horrifying, inhuman ordeals. They experienced being torn from their loved ones and their homeland, with fear, hunger, thirst, and death inflicted on a daily basis. These survivors have striven with all their might to rebuild their lives in dignity. Being able to pronounce one’s name aloud to a civil servant or employer is clear proof that you are really alive, and that you were physically born somewhere far from France – elsewhere. That elsewhere was of course their homeland, Anatolia, Western Armenia, the land where all the events started. 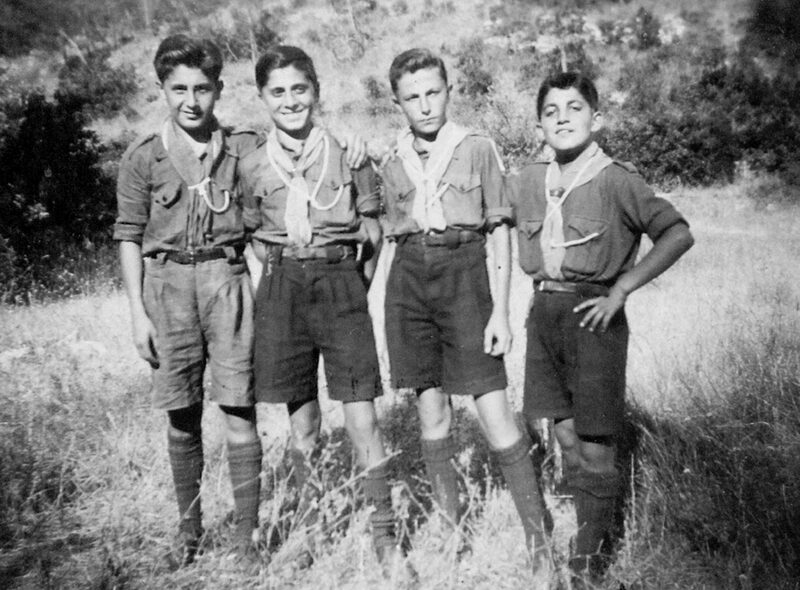 This exhibition brings back home portraits of the generation of Armenians who, throughout their lives in France, never stopped thinking about the land of their youth. The exodus of Armenian refugees did not happen at the very time massacres were raging, but slightly later, when the Armenian people realized that there was no way they could go on living in the land administered by their tormentors. This is why the migration of Armenians from Turkey to France soared massively in 1922. 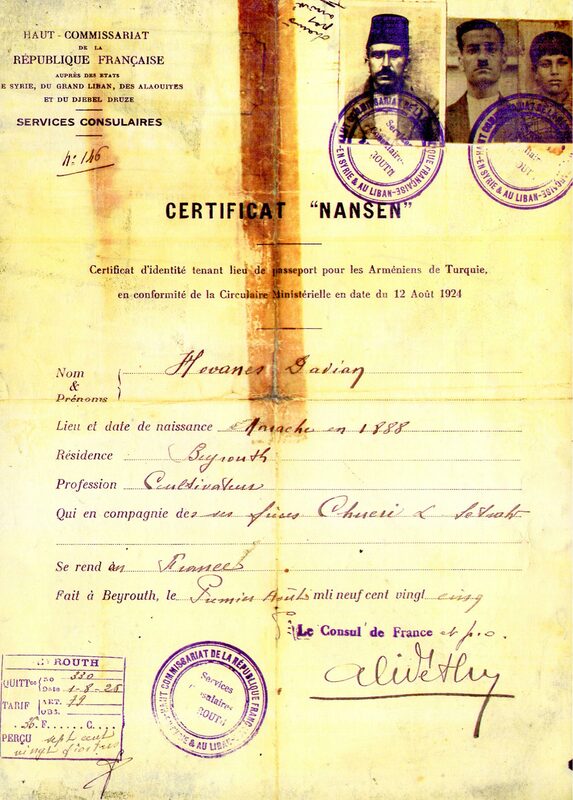 First considered stateless after the 1918 Armistice, the Office for Refugees of the League of Nations finally granted them refugee status through the “Nansen passport” in 1922. They were then redirected towards European countries in need of a workforce and who had developed some ties with that particular community. France had undergone considerable demographic losses during World War I, and seemed an obvious place to absorb part of that Diaspora. It has often been noted that the French presence in Syria or Lebanon, a land of exile for many Armenians, had made France closer and more open to that distressed population. 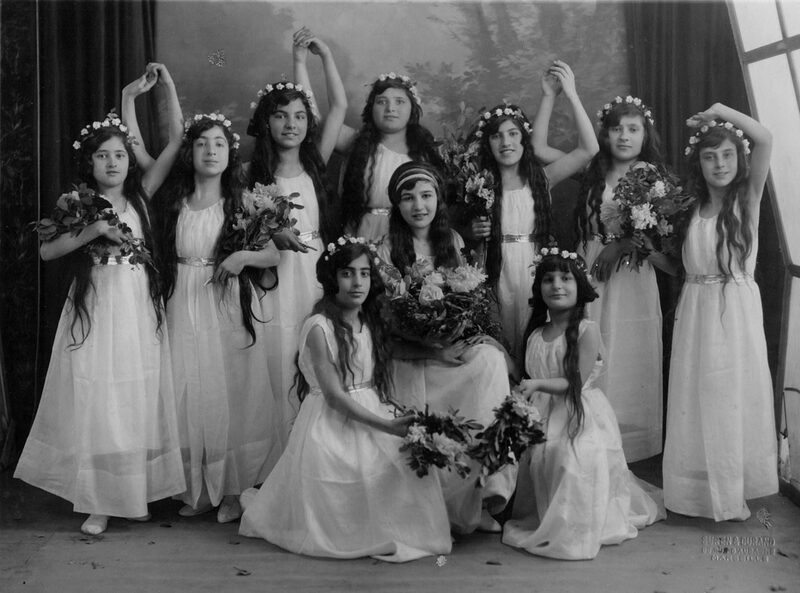 Therefore, Armenians came to France in large numbers and found there the work they needed to make a fresh start. Marseille welcomed them with a wealth of job opportunities. On the docks, as well as in all sorts of thriving industries such as sugar refineries, oil or soap factories, Armenians found employment. 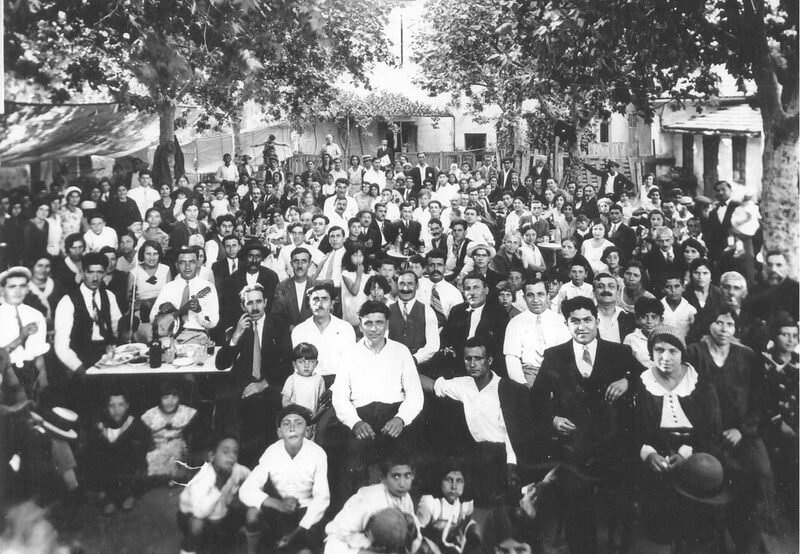 As soon as they came ashore, in the port of Marseille, they were gathered in refugee camps, the largest of which, Camp Oddo, had 5,000 residents from 1922 to 1927. Meanwhile, they started to settle in the working-class neighbourhoods of French cities, near factory plants. Soon they would move on to still country-like suburbs where they proceeded to build new homelands. In the French cities of Marseille, Valence, Lyon and Paris, many neighbourhoods epitomize that peaceful conquest and effort to grow new roots. Armenian churches and schools were built alongside the houses. During that period, the Diaspora structured itself and managed both to integrate the French Republic and remain faithful to its language, its culture and its history. 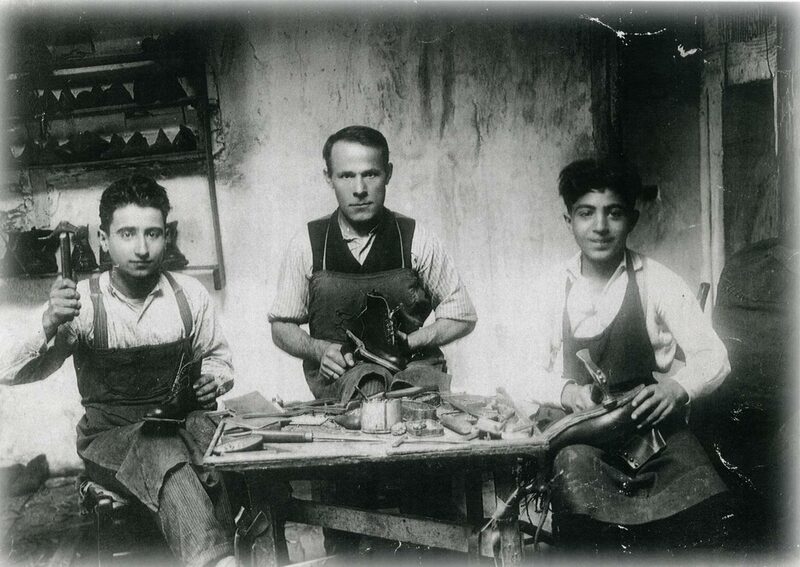 Ultimately, Armenians strengthened their presence, developed their entrepreneurship and, from one generation to the next became full-fledged citizens, participating in the economic and democratic life, holding in high respect the institutions which many of them would soon to take an active part in.